An EMP attack, Pearl Harbor II? Possible Causes – for an EMP. A direct attack from a nation and/or terrorist group using one or more nuclear weapons exploded at very high altitude over the United States – a blast from a meteor exploding at high altitude in the atmosphere – check out this report on the solar EMP possibility. U.S. vulnerability– The U.S. is more vulnerable than any other nation on earth to an EMP because she has become totally dependent on electricity and electronics for just about everything used in everyday living. This vulnerability has come about in the last few decades. All of the major enemies of the U.S. are aware of this vulnerability and that this is the easiest way to cripple the United States. Russia has this capability and tested it during the cold war. Some officials from Russia suggested they could use this capability against the United States in 1999 during the Balkans conflict. China now has this capability, and U.S. intelligence sources say that North Korea and Iran are actively developing the technology and capability. Terrorist groups could get the capability from any one of these countries or from a few other countries either directly or by theft. The weapon could be delivered by a Scud missile hidden under a tarp from a medium-sized ship in the shipping lanes off the coast of the United States. Scud missiles are available in the weapons market for about $100,000. If the United States were attacked with this weapon the country may find it very difficult if not impossible to retaliate. Finding out who was responsible might not be easy especially if it was done by state sponsored terrorists or if terrorists carried it out on their own. If the U.S. responded in kind over a country like North Korea, it would not significantly change their way of life and if the U.S. nuked their cities without serious proof I can foresee a collective world reaction against the United States that would only make substantial recovery in the U.S. more difficult if not impossible. Even conventional warfare may not be possible because our military would have to be recalled to the United States to restore domestic order. EMP Effects – total blackout – Y2K + X to the nth power– A large EMP would actualize the perceived Y2K threat of the year 2000 except the effects of an EMP would be many magnitudes worse than anyone’s worst nightmare about Y2K. A large EMP would cause the immediate collapse of the North American power grid and the destruction of much unshielded electronic equipment in the area of the pulse. The extent of the pulse depends on many factors; it could hit the whole nation, a good part of the nation, or be more local. Those who would attempt such an attack would seek to maximize the extent of the damage so more than likely, the pulse would hit much if not most of the United States. The EMP pulse itself has three components with each subsequent component causing further damage. An EMP is generated when Gamma Rays from a high altitude nuclear explosion interact with the atmosphere to produce a radio frequency wave pulse that would hit everything in line of sight of the explosion. A small crude nuclear weapon exploded high above the United States could create a devastating pulse. If an EMP hit a large part of the United States it would not cause just a temporary power outage. It could take months or even years to get power back to most of the United States. Electronic equipment and power generating equipment in power plants themselves would be damaged and there will be no way of easily replacing this equipment. Even if the equipment were not damaged the grid could not easily be brought back up. It takes a source of power to bring up modern power plants to put them back on line. Just bringing up the whole U.S. grid from scratch would take weeks or months. Even if the blackout were only for weeks, the disruption to the United States would be immense. In a matter of hours there would be large-scale looting in the major cities and in days there would be riots in all large cities over food and water. Marshal Law would be declared and the Department of Homeland Security (DHS) would nationalize all police forces and take control over managing the people of the United States. All available military would be following the directives of DHS as well. A major EMP over a large part of the United States would cause all major transportation systems to break down. Most means of communication would not be possible. There would be no TV, little radio, no useable cell phone systems, no Internet system and no food or water distribution other than through the direction of Homeland Security. All essentials would be rationed. Those carrying out the DHS directives would confiscate all known critical supplies. The civil disorder and disruptions that have taken place in New Orleans and southern Mississippi in the aftermath of hurricane Katrina are a small example of what would take place nationwide after an EMP. In that case massive aid from the rest of the nation eased the crisis but after an EMP the whole nation will be coping with the crisis and little aid will be possible. All able bodied manpower in the United States would have to report for assignments directed by Homeland Security. All financial assets would be frozen. There would be no access to any money, the stock market would be closed and the U.S dollar would become near worthless on the world market. For weeks, months, and perhaps years there could be little gross national product in the United States. The U.S is the largest debtor nation in the world so she would be forced to default on her debt bringing about a massive world depression. Even after the power was brought back up, it would be likely that much of the electronically controlled infrastructure systems would have to be totally replaced. This could take many years. Meanwhile, financial assets in every category either would become worthless or lose tremendous value. All financial bubbles will burst. Likelihood of this threat occurring before A.D 2025? If significant military action is not taken against Iran and North Korea (if they do not immediately abandon their nuclear weapons program), it is almost certain that one or more EMP attacks will be attempted with the likelihood of success being high. The possibility of a successful EMP attack before 2025 AD would in my opinion be at least a 7 on a scale of 1-10. If Iran and North Korea no longer have nuclear capabilities the likelihood of an attack is then much less at least for a number of years. Pakistan still will be a problem because she has nuclear weapons and a large segment of the population supports terrorism against the United States. It is unlikely that China would want an EMP to happen over the United States as long as she is getting rich exporting to the United States. (The China threat could be the reason the U.S. allows the seemingly insane trade imbalances.) If China no longer needs the U.S. because world demand for their products is more than they are capable of producing and/or if Taiwan becomes a flash point, the likelihood of an EMP attack is again extremely high unless by that time the U.S. has taken major steps to harden the infrastructure against such an attack. If a cold war reemerges with Russia, they also might see a world without the United States as being in their best interest and they also would pose a grave threat to the United States either directly or by supporting Islamic terrorists groups who would use this technology to bring the U.S. to destruction. Non-state sponsored terrorism will continue to be a threat if they can get hold of a nuclear bomb. Some reports have indicated that nuclear bombs are available on the black market. I do not know if this is actually the case but experts who have access to intelligence say the possibility of terrorists obtaining a nuke in the next 10 years is better than 50-50. What can be done to stop this threat? In the near term, the U.S. can only try to stop terrorists and terrorist nations from launching such an attack. What the United States really should do in the near term is to buy some time and take out Iran and North Korea’s nuclear capabilities. If the U.S. starts in earnest now in about five years she can have the critical infrastructures hardened enough and the procedures put in place to protect critical equipment from the second and third component of an EMP. After this, an attack would probably not reduce the United States to less than a superpower but it certainly would still cause enough damage to put the U.S. in turmoil and be a catalyst for a world depression. At this time the hardening of U.S. critical infrastructures is not taking place and I know of no plans to do so on a large scale. Another defensive tactic that the U.S. may be taking is trying to appease her enemies. This could be the secret reason for some of the foolish positions she takes in the Middle and Far East. Nevertheless, I believe appeasement is playing right into the hands of the enemies and I believe that this policy is doomed to failure. If the United States people can get their politicians off of their duffs, she can have most of the critical infrastructures hardened against an EMP attack in about five years. This would not cost all that much to do, if all new critical electronics were manufactured to be shielded and hardened. The major problem is that most politicians have their head in the sand and they are ignoring this real threat even after this threat was verified to them by the highest Intelligence sources and by their very own congressional appointed commission of scientists. Therefore, since the danger are real, All people in the United States should have on hand or have ready access to at least six months of food and water. The sure way of escaping such a judgment is for the people of the United States to voluntarily stop all their wickedness and seek God’s protection but I just do not see that happening. I am not pulling this imminent threat to the United States out of thin air. A commission of top experts was appointed by the U.S. congress right after the 9/11 attack. They were commissioned to report to them on this EMP threat. The report was given to the congress in 2004 AD. The report is below and it gives all the details you may never want to know. Other intelligence sources have also written about this grave threat to the United States. • One of the Central Intelligence Agency (CIA) agents who are knowledgeable in this area told me that several years ago he briefed one of the Army Joint Chiefs on the EMP threat, and, after the briefing, the General cussed him out. He said, ”Why did you do that? Why did you have to ruin my day? You know there is nothing I can do about that. Why did you want to make me feel bad?” That is not the right response to this problem. Curt understands enough Russian that he turned to me, and he said, ”Roscoe, did you hear what he said?” Well, of course, I heard it. I did not understand any of it until the translator. But Curt had understood it when he said it. So it is not that our enemy does not know that this is a big vulnerability in our country. This is, in fact, the ultimate asymmetric attack, not just on our military, but on our culture, on our society as a whole. • What we have concluded is that several potential adversaries have or over the next 15 years, which was the time horizon you mandated for us, over that time, can acquire the capability to attack the United States or its interests, friends and allies with a high-altitude nuclear weapon-generated electromagnetic pulse. Not only that, but a determined adversary can achieve an EMP attack capability without having a high level of sophistication. 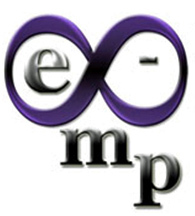 EMP is one of a small number of threats that can hold our society at risk of catastrophic consequences and might result in the defeat of our military forces. EMP has the capability to produce significant damage to critical infrastructures and, thus, to the very fabric of U.S. society, as well as to our ability to project influence and military power abroad. 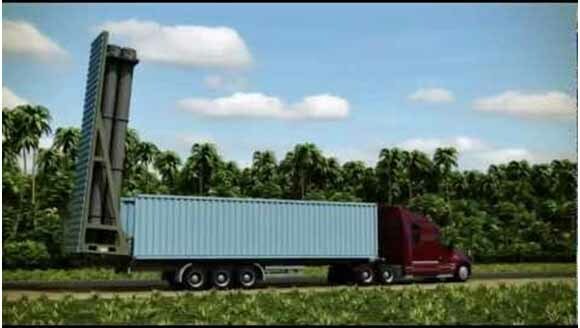 A Russian weapons company is marketing a new missile system that is hidden inside an ordinary shipping container. 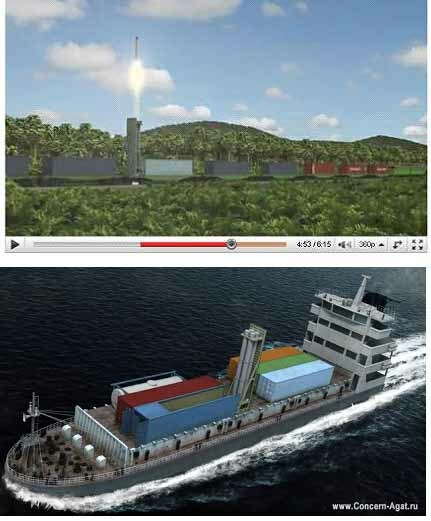 It can turn a ship, train or truck into a long-range missile launcher. Channel Two Action News anchor Justin Farmer investigated the threat and found officials at the Port of Savannah had never heard of the Club K Missile system. It sounds like something out of a James Bond movie. 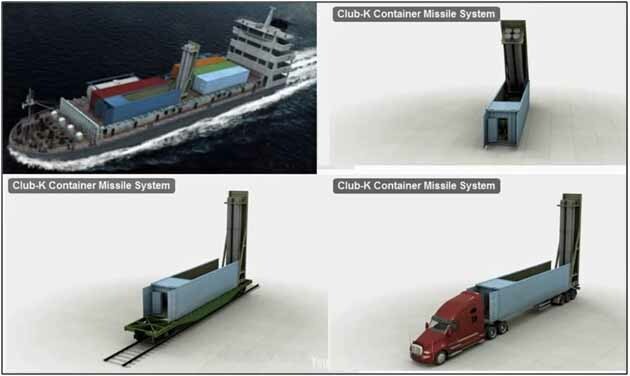 A hidden cruise missile that can transform a shipping container into a missile launcher. The problem is it’s real and a Russian weapons company is advertising it for sale to anyone who has the cash to pay for it. Defense experts are warning of a new danger of ballistic weapons proliferation after a Russian company started marketing a cruise missile that can be launched from a shipping container. A recent report by the U.S. Congress’ research unit Congressional Research Service (CRS) has raised questions about North Korea’s ability to transform cargo ships into missile launch pads. The CRS report said that North Korea has developed a submarine – or ship-mounted ballistic missile system with a range of at least 1550 miles (2,500 kilometers). 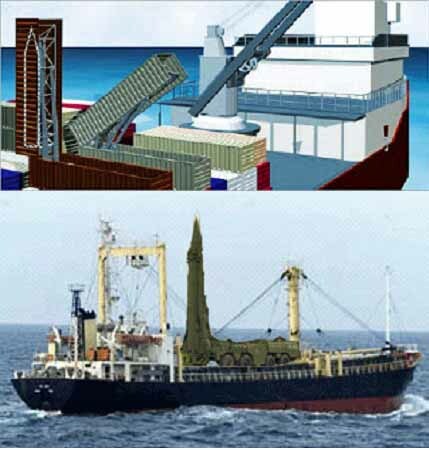 The North has also transformed ordinary cargo ships to launch the missiles, the report said. [And this is just what we, the common folks on the street, have learned. What else of such importance might be known by the Federal government & military intelligence, but not mentioned publicly. What is being assembled in secret by an enemy foreign government or terrorist organization, or even constructed in a derelict building right here in the USA? Given a 1500 mile range, an EMP device could be: 1) launched against the east and/or west coast from half way across the ocean; 2) or launched from northern tip of South America against the central USA; 3) shipped north by railway to the US-Mexican border and launched against practically any/every region in the US; or 4) against the east and central US from a foreign oil platform in the Gulf of Mexico. EMP attacks could also be made against Gulf of Mexico oil platforms with US gulf coast cities as collateral damage, thus crippling much of the US oil production. EMP attacks could more easily be made strictly against Gulf oil production facilities, thus avoiding a direct attack against Western populations and a certain nuclear retaliation. In either case, EMP used against the US mainland, Gulf of Mexico or Persian Gulf oil production will all be long m crippling events for the US economy. The internal dynamics of the US population will undoubtedly lead to truly massive unruly behavior and crime, as prices and shortages go from “0 to 60” overnight. One day (or night) we may simply realize that we’ve lost electrical power or don’t have an energy supply. The welfare net will be broken; regions will have lost the ability to function as a 21st Century civilization; tens of millions, maybe a hundred million people will be without an income, without jobs – for months, perhaps years; regional agriculture tillage will be down, the crop planting or harvest lost; cannerys will not open, mills will not grind or bake, slaughterhouses will not process meat; grocery shelves will become bare within 12 hours; shelves in all stores will not be restocked, there will be no “just in time” shipments; gas station pumps will have ceased to operate without electric power, autos still running will run out of gasoline within days; medications will be depleted. Two weeks after the attack, with the nuclear power plant’s water pump generator fuel reserves depleted, reactor cores and spent fuel ponds will have lost cooling capacity leading to regional, national or continental wide meltdowns and the consequent spread of high levels of radiation across downwind population centers; meanwhile, the public’s solid and liquid waste will accumulate within homes and along the streets, disease will follow; thirsty and hunger driven individuals and families will have first gone to their neighbors for help, then they’ll begin to walk…like ants spreading out from towns and cities in the disrupted areas, walking into the countryside, hungry and desperate. Many of the news articles presented above were published between 2004 and 2010. There has been a lot of time since then for our adversaries to improve, test and update the missile delivery systems discussed, indeed to develop still other related attack schemes. Mitigate the effects, do what you can, now. The EMP threat needs to be made an issue regularly. People need to know how bad it will be if the grid goes down even in a relatively small region. This should be common knowledge but it is not. Families need to prepare accordingly. They need to be able to make informed decisions. How bad will it be? 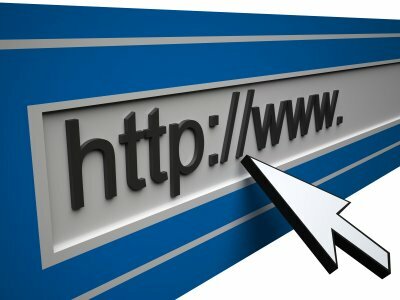 http://beforeitsnews.com/survival/2012/12/out-with-a-bang-how-bad-could-an-emp-attack-be-2454182.htmlEMP weapons are a reality. Every weapon humans make gets used at some point in time. This is the event to prep for. To not do so? Well, when it happens you will probably be dead in a few weeks I suppose. You have a choice.